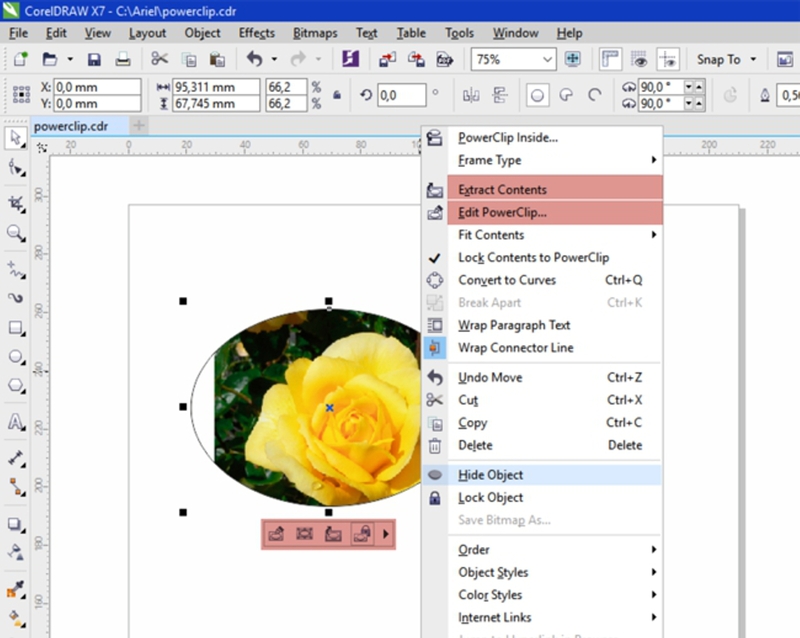 Power clip is another method to join two objects together in coreldraw. For example you want to power clip a picture inside a rectangle shape. Draw your rectangle. Then import the image into your working space. Select the image and go to effects and then power clip. An arrow appears and then powerclip the image into the rectangle. You can also edit the power clip by finding your way to powerclip as decsribed before and then choos edit powerclip. Guys do anything that suites you with your object.